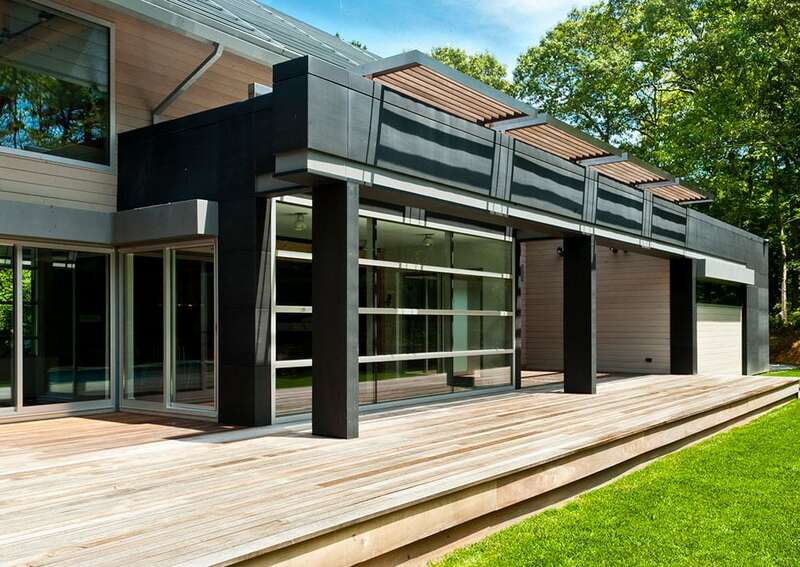 Hamptons living takes a modern approach in this newly renovated home nestled in the popular town of East Hampton, NY. Located on Eastern Long Island in New York State, the Hamptons are a popular summer destination for couples, families, and homeowners alike. 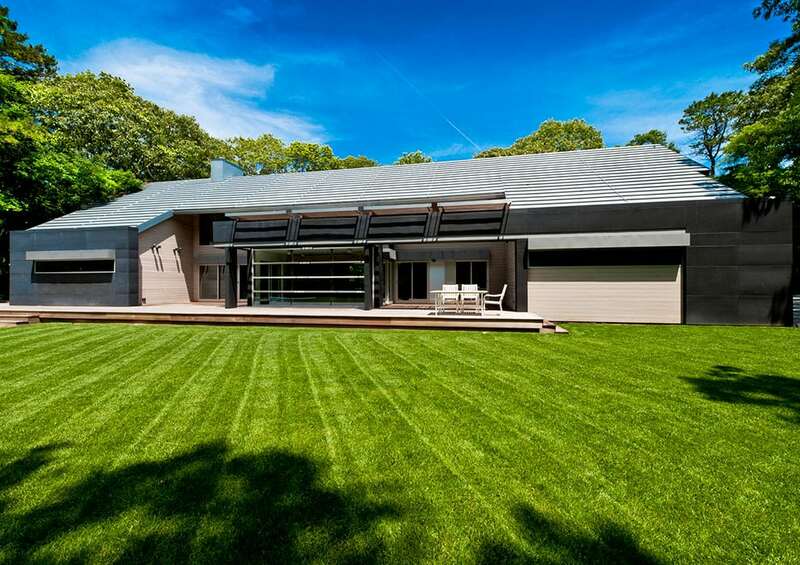 Many homes cover the expansive Hamptons’ landscape and the architectural and design opportunities are endless. While many decide to start from square one and build a getaway dream home, a remodel in the Hamptons can give greater results in half the time, with half the cost. 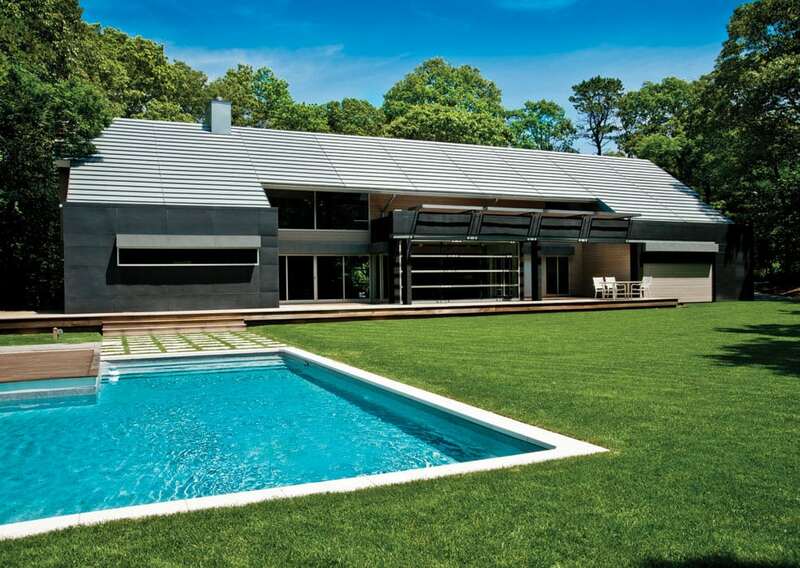 In this East Hampton residence renovation project the client desired a shift from the typical traditional shingle-style Hamptons home. 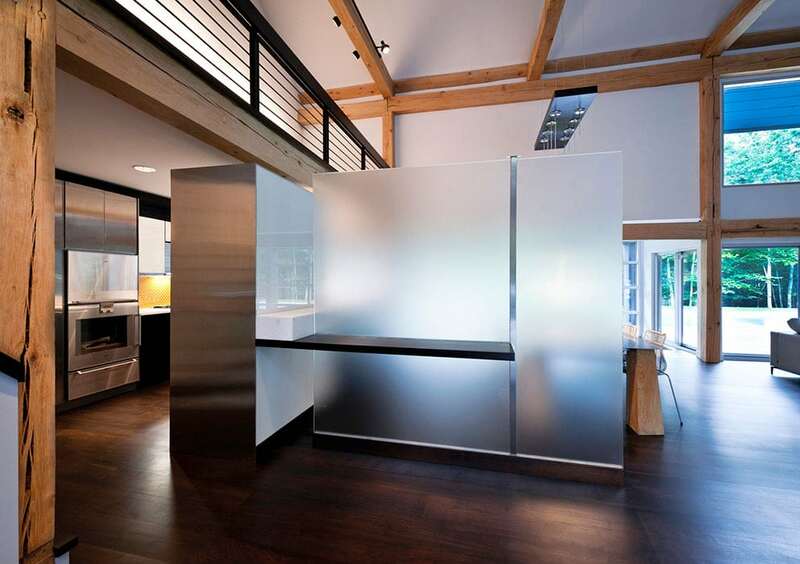 With a more modest sized footprint we wanted to make the most out of the space. 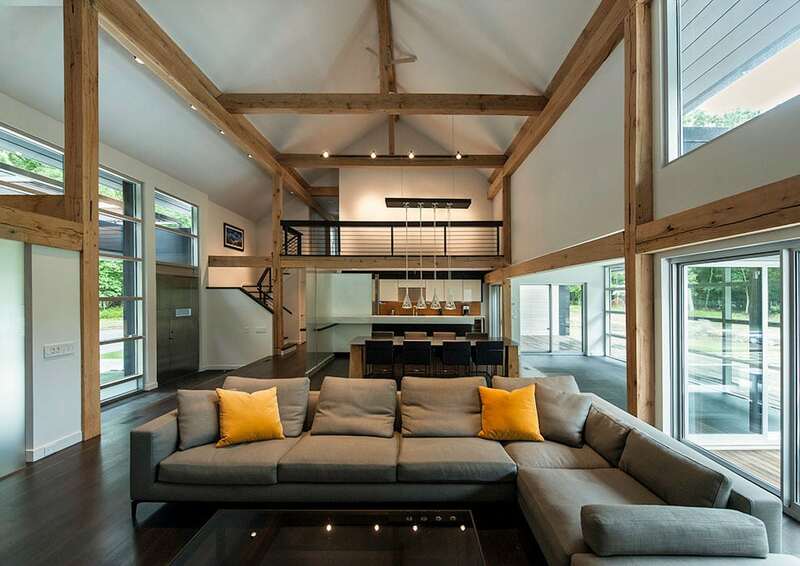 We focused on keeping the interior minimalist and invitingly spacious. 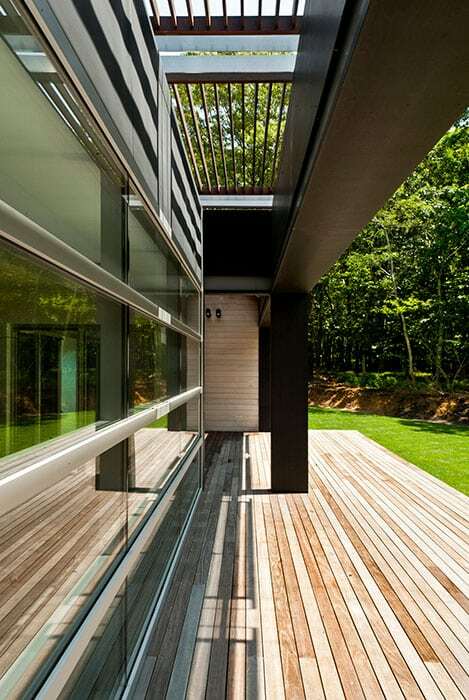 Innovations and creativity were greatly put into use to create really intriguing exterior architecture. 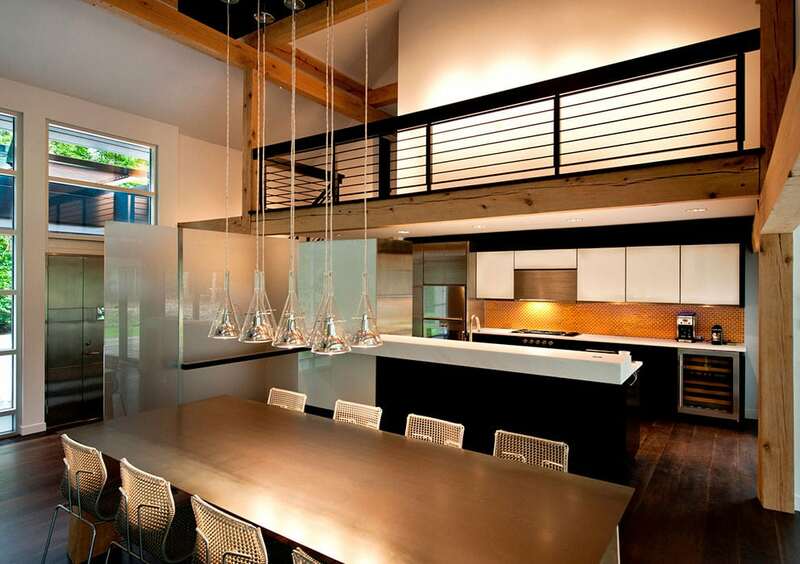 The interior double-height entry, living room, dining room and kitchen evoke an airy yet welcoming domain. 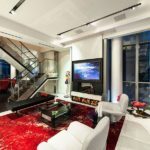 The open plan called for a lot of natural sunlight, so we took full advantage by installing numerous floor-to-ceiling windows. 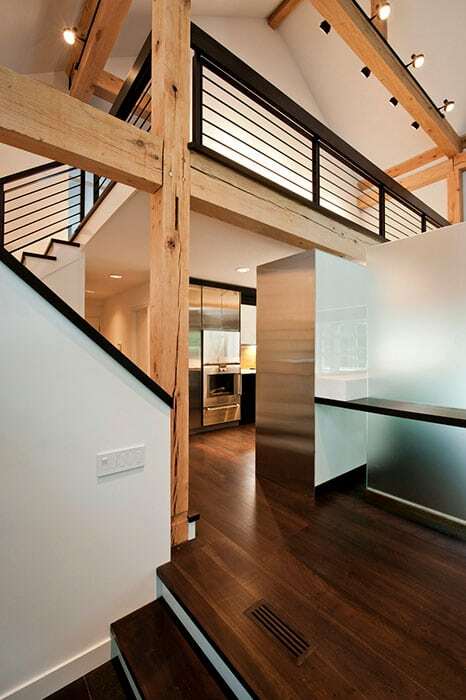 A mixture of exposed reclaimed wood beams and metal unites natural and industrial elements. The master bedroom is on the first floor and aligns with the in-ground pool. There are three additional bedrooms on the second floor, and a balcony which overlooks down into the open plan below. 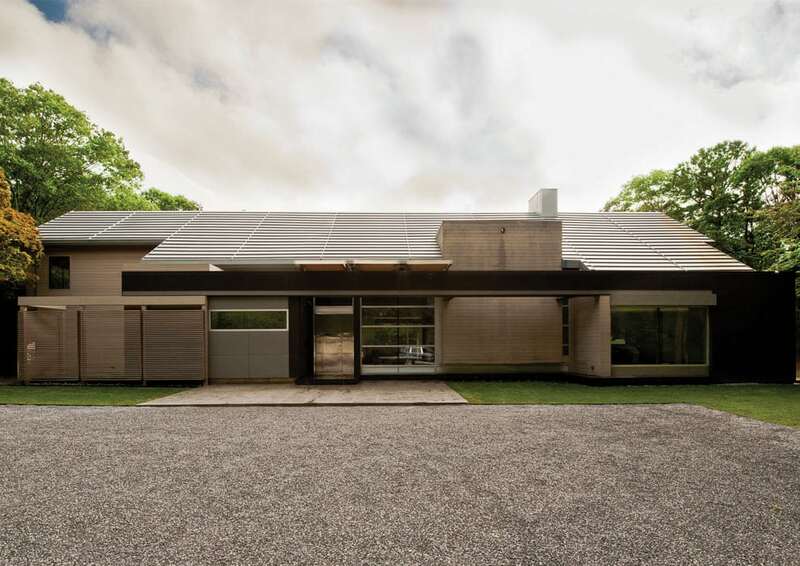 The modern design of the exterior is enhanced with the zinc roof and zinc panels along the façade. 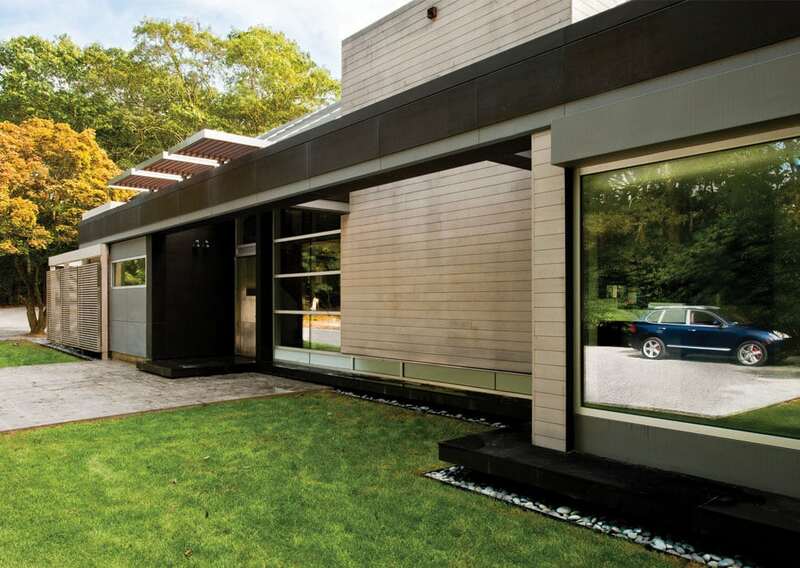 The metal is balanced with warm woods; a cedar trellis screen wall that hides the garage entrance, tongue and groove cedar clapboard, and the wood deck. 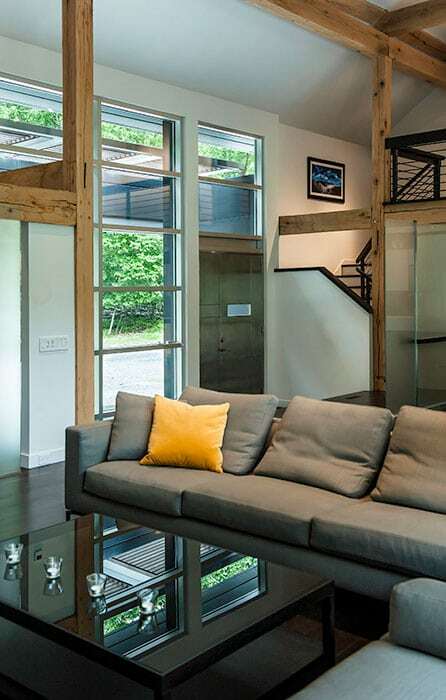 A custom aluminum and glass curtain wall is introduced to the front and rear elevations of the house. 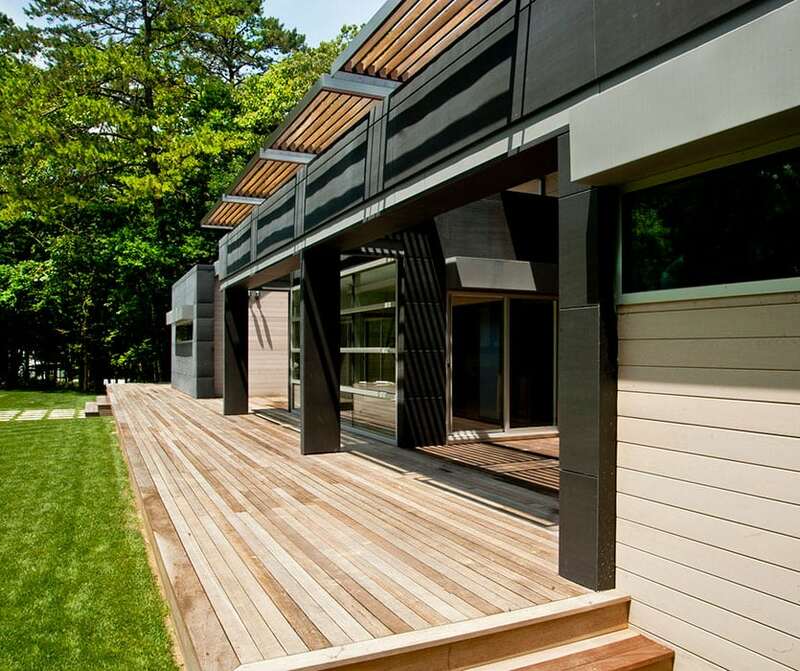 A canopy at the front entry and rear deck are custom stainless steel and IPE trellis wood beams. We created a great piece of architecture, but most importantly we and the owner are extremely proud of the result.